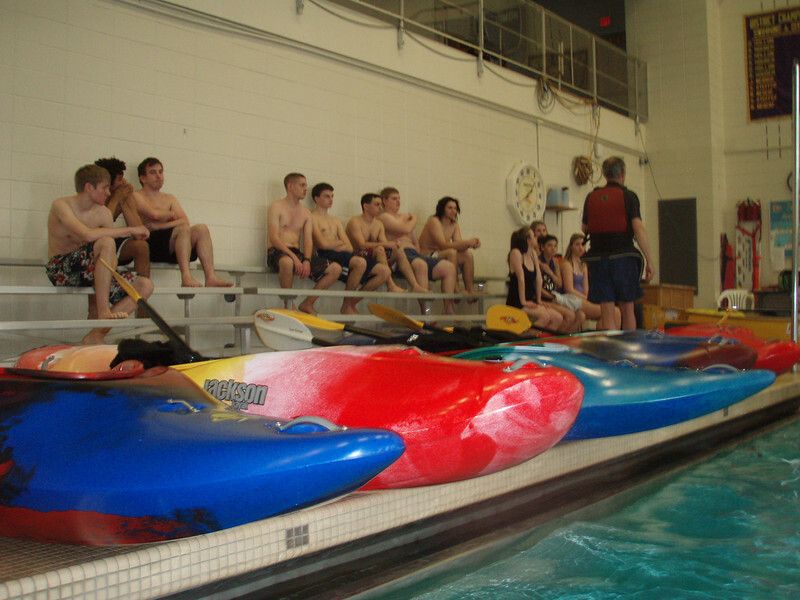 Boiling Springs High School Kayak Classes on February 26 & 28, 2013. Great time. 3 students got some rolls. Always impressive to see someone do that in just one or two sessions All did great and also fun to paddle around a pool full of boats. A bit like bumper cars, only on water !